Making the Uber app simple and easy to use is always on our mind. And when it comes to protecting your information, it’s not only important to know your options but also how to use them. 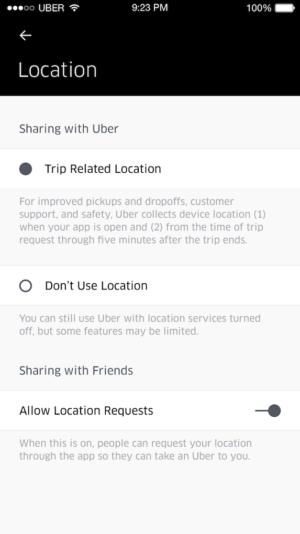 Today, we’re announcing new and improved controls in one place inside the app to give riders more choice and control over the information they share with Uber. Simple explanations accompany each control to help you understand when information is shared with us and how it’s used. Over the next few weeks, you’ll see a new Privacy Settings menu in the app to help make these controls easy to find in one place. We’re adding a dedicated menu in the app called “Privacy Settings” where all current and future privacy-related controls can be found in one place, including the existing “Remove Stored Contacts” setting. 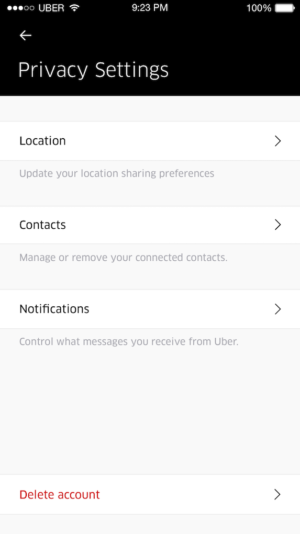 Location – Easily view your location settings inside the Uber app with extra guidance to help you choose the best option for you. 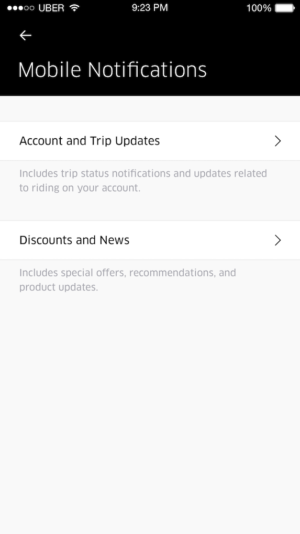 Mobile Notifications – Control which push notifications you receive from Uber on your phone including trip status alerts and discount updates. 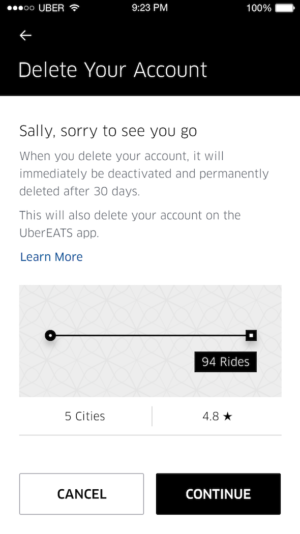 Account Deletion – A self-service deletion process inside the app makes it easier for you to delete your account without having to contact Uber support. If you change your mind, you can reactivate your account within 30 days. After preparing for this update for more than a year, we’re excited to share it with you today. We hope these improvements make it easier for riders to navigate their choices with Uber as we continue building new ways to give you more control.